On Saturday, April 28th, I visited Six Flags St. Louis in Eureka, Missouri. I visited this park last year and absolutely loved it. We decided to stop on our way back from Silver Dollar City, and it did not disappoint. I attended the park with my friends Jeremie, Mark and Chad. We arrived to the park at 10:45. We were a little worried about crowds, but overall the crowds were not bad. We started our day at American Thunder, a wooden GCI coaster in the front of the park. From there we headed to the next coaster, Mr. Freeze Reverse Blast. This is a launched coaster by Premier Rides that definitely packs a punch. We then proceeded eat lunch at Mooseburger Lodge, followed by Screamin’ Eagle. Following that, Jeremie and I split off from Mark and Chad and rode The Boss and Justice League: Battle for Metropolis. Jeremie likes to film park footage, so we spent some time after those rides to film. We met back up with Mark and Chad for a ride on Batman: The Ride, then split off again to ride River King Mine Train and Ninja. At that point, it was time to leave the park and head home. Overall, the park was fun as always, and I’m really looking forward to visiting again sometime soon. All in all, I genuinely enjoy my trips to Six Flags parks. On Friday, April 27th, I visited Silver Dollar City in Branson, Missouri with my friends Jeremie, Mark, and Chad. This was my second trip to the park, and it was a fantastic time. The park is smaller and intimate, but it has so many different rides that are fun and intense. In addition to riding these rides, we explored all the park had to offer ranging from gift shops to food. For lunch, I enjoyed a half-rack of ribs with french fries and a warm roll. Additionally, I picked up some cinnamon bread. This park, like Dollywood, is really well known for their amazing food options, and their cinnamon bread. All in all, besides riding a bunch of rides, there wasn’t much more to note for our day. After the park, we headed into downtown Branson to ride the two alpine coasters, followed by dinner and a four hour drive to St. Louis. All in all, Silver Dollar City is a fantastic park, and I highly encourage everyone to stop by next time you have the chance. On this week Thursday, I will be heading down to Missouri for a two-park trip. 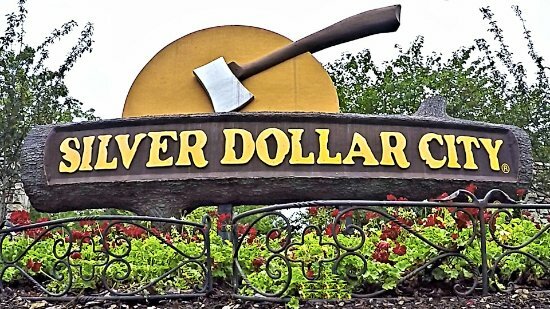 I will be visiting Silver Dollar City in Branson, Missouri on Friday, April 27th and Six Flags St. Louis in Eureka, Missouri on Saturday, April 28th. I am very excited for this trip, especially due to the fact that there’s new things at each park since I’ve been there last year. New this year at Silver Dollar City is Time Traveler, a new spinning roller coaster. This was under construction when I was there last, and it looks like a really fun attraction. As for Six Flags St. Louis, I have gotten word that The Boss roller coaster has received a retrack in the offseason. I really enjoyed this ride last time I was there, and I hope this retrack makes the ride even better. Additionally, I’m looking forward to riding the flat ride that was under construction when I visited last season. As always, I’m looking forward to putting out two more trip reports for these parks. Stay tuned for the latest on my theme park travels! 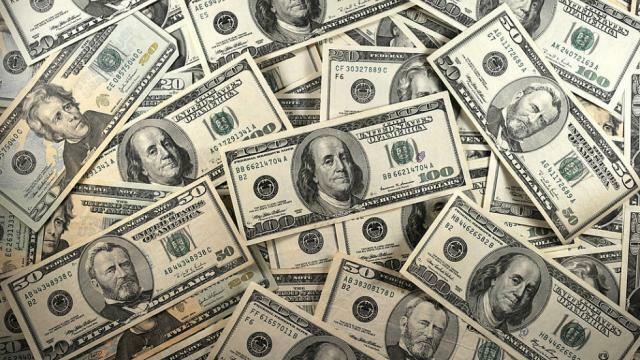 Budgeting for Trips: What should you do? One thing that can always be difficult is budgeting. When doing something, you typically want to have a good time but don’t want to break the bank. Thus, it’s important you determine a set amount of money you want to spend when visiting a destination. As you may assume, this is greatly evident in the theme park industry. There’s so much to do and expenses you have to consider in order to have an enjoyable day at the park. When planning a day trip to the park, you need to budget for four items: admission, parking, food, and other. Admission is necessary. You won’t be able to get into the park with a day ticket or season pass. These tickets typically run between $25 and $75, depending on the type of ticket you buy. Some passes may also cost more pending on the different benefits they offer. Parking can typically be an either/or situation; either you drive to the park and need to park your car, or you are dropped off. If it’s required to park your car, you need to factor in that cost. Parking usually ranges from $15-$30, pending on the park. With that, some parks also offer premium parking for a higher rate. Now, there are also some parks like Holiday World that offer free parking, so take that into consideration as well. Food is absolutely necessary. You’re going to need something to eat if you visit a park. Factor in about $30 for food, which includes food, drinks, and snacks. Other refers to anything extra you would spend at the park. This could include souvenirs, sweet treats, games, or upcharge attractions. This area is entirely up to you, so keep that in consideration when assessing your budget. All in all, a trip to a theme park would typically cost at least $70 if you’re visiting for just one day out of the year. 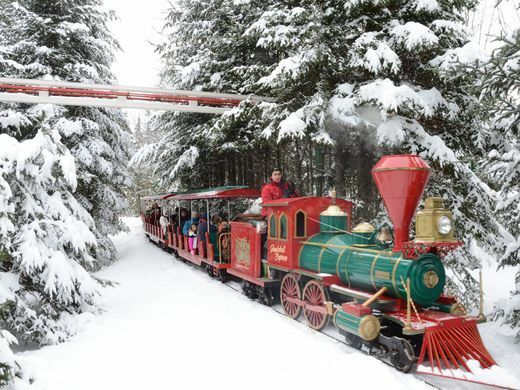 However, many parks are now offering season passes and all season parking and dining options that make the experience much more worth the cost, and you can go multiple times and have already payed for those expenses. Then, the only thing you need to worry about is the other. Assess a budget for a theme park visit and stick to it; you and your wallet will really appreciate it. This post may seem redundant, but the reality is that I see so many people attending theme parks that don’t dress for the weather. As a result, I see people dressed in jeans and a sweatshirt in warm weather sweating and exhausted, or I see people in 40 degree weather with shorts and a t-shirt freezing and shivering. Perhaps one of the most important things to do before visiting a theme park is to check the weather. Now, I know I made a post earlier about advantages with visiting parks on a day with rain in the forecast, but it’s important to dress properly. You see, not dressing for the weather can lead to coming down with a cold, or even heat exhaustion if it’s really warm. The best thing I can suggest is to indeed follow the forecast. Remember, you can always pack a sweatshirt (or some layers), rain jacket, or pair of jeans or shorts and keep them in your car or carry them into the park in a bag. ; and sometimes forecasts call for cold temperatures in the morning and warm temperatures in the afternoon, so this gives you flexibility to change into different clothes based on the weather. You want a trip to the park to be enjoyable, and wearing the proper clothes is important. I’m aware all people are different and naturally can handle cold weather or hot weather, but all in all these tips should be useful next time you’re visiting a theme park. I personally use this method and it’s always helped me enjoy my day at a park much more. Ultimately, I’ve always felt guests should be focused on enjoying the park and it’s attractions instead of being focused on being too hot or too cold. 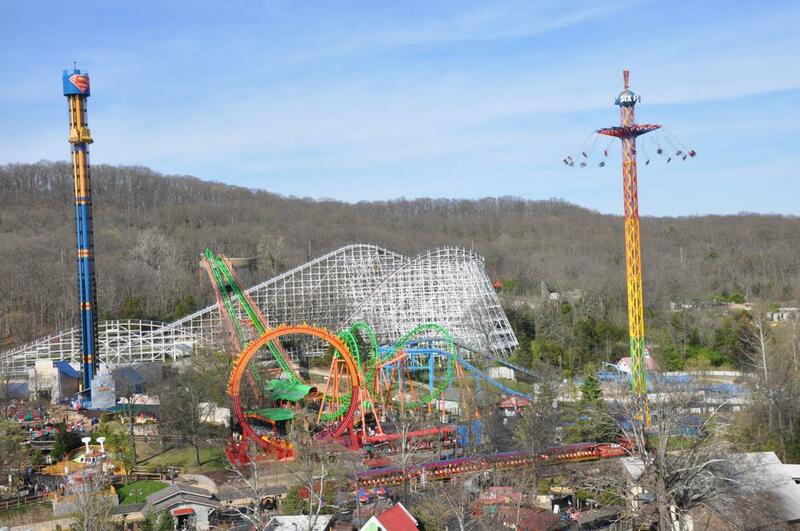 Due to the fact that my trip to Kings Island on April 13th was extremely short (less than two hours), I have decided to combine both days into one trip report. So, on April 13th and 14th, I visited Kings Island in Mason, Ohio for their Passholder Preview Night and Opening Day. I have been visiting this park every year since 2015, and I love the charm of the park and sheer variety offered. I attended the park with my friends Matt and Jeremie. On the 13th, we simply went into the park, grabbed dinner at Chicken Shack (a chicken restaurant near the Action Zone section of the park), and rode two rides. The rides we rode were Vortex, a looping roller coaster that opened in 1987, and Mystic Timbers, the park’s newest roller coaster that actually opened in 2017. Fast forwarding to Saturday the 14th, we arrived at the park at about 9:00am. While the park opens at 10, they allow certain levels of season passholders into the park at 9:30 for early ride time on a few attractions. To start the year, Kings Island is offering early ride time on The Bat, Banshee, and Mystic Timbers. We started out on The Bat, a suspended coaster towards the front of the park. From there, we rode Delirium, a pendulum spinning ride. At this time, the park had officially opened. We proceeded to ride Flight of Fear, Backlot Stunt Coaster twice, The Beast, Banshee, and Invertigo. It was at this time that we met up with some more friends, Paul and Dawson. We know Paul and Dawson from Six Flags Great America. Dawson will actually be working at Cedar Point this summer, so it was nice to hang out with him before he heads to Ohio for the summer. We then rode Adventure Express, a mine train roller coaster, and then Mystic Timbers three times. We decided to break off from Paul and Dawson for a little while after that, but would meet back up with them at the end of the day. Matt, Jeremie, and I went to grab lunch at the Festhaus, which is a large dining court towards the front of the park. After lunch, we headed up Kings Island’s signature attraction, the Eiffel Tower. This tower is about a third of the size of the actual Eiffel Tower in Paris, France. To put the height into perspective, the total height of the Kings Island tower is approximately equivalent to the height of the legs on the original. Following the Eiffel Tower, we headed to what is personally my favorite ride in the park, Diamondback. This roller coaster stands over 200 feet tall and features one of the most intense layouts in the entire park. After riding Diamondback twice, we decided to ride the park’s railroad, followed by Vortex, Firehawk, Windseeker, The Racer, Mystic Timbers twice, Backlot Stunt Coaster, Banshee, and Invertigo. At this point, we met back up with Paul and Dawson for dinner at Red’s Hall of Fame. This restaurant used to be a full-service sit down restaurant, but has recently converted to a quick-service restaurant. Although there is a change in the service, the thing that remains constant is the decor. The entire restaurant is devoted to the Cincinnati Reds and it’s history. Although I root for a different baseball team, I still enjoy this restaurant. For the rest of the night, we stayed with Paul and Dawson, and we rode Adventure Express, Boo Blasters on Boo Hill, Woodstock Whirlybirds, Woodstock Express, Vortex, Banshee, Diamondback, Mystic Timbers, and Backlot Stunt Coaster. Lastly, we ended our night on the last train of the night for The Beast. For part of the day, the weather was rainy and overcast. This led to us being able to ride so many rides on Opening Day. In past years, the park was always jam-packed on Opening Day, but we actually didn’t wait more than 20 minutes for a ride, with most rides being 5-10 minute waits. All in all, spending the weekend at Kings Island was yet again another fun experience. The park was beautiful as always, and the rides were fun and thrilling as always. Be sure to come out to this park when you get a chance, it’s a very nice park. Most people are used to having no control of how a roller coaster functions. The lift takes you up the hill, and then it guides you throughout the course. However, there is one way for people to control their ride experience: alpine coasters. 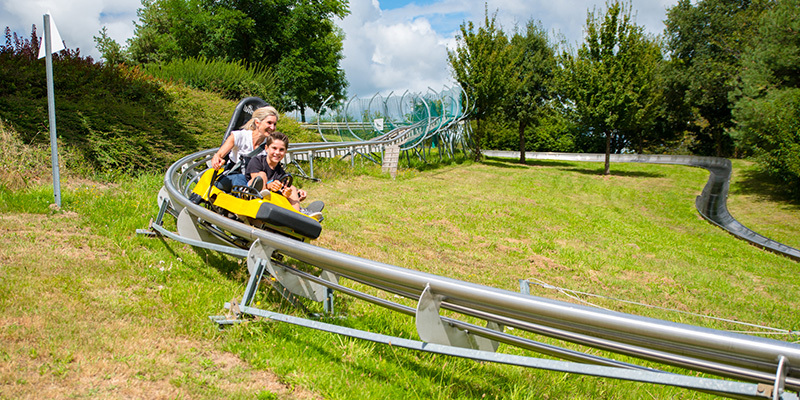 Essentially, alpine coasters are steel track built on top of a hill or mountain. They’re controlled by taking single cars (that typically accommodate one or two people) being guided to the top of the hill by a cable lift. Once at the top, the rider controls the speed of the ride through levers on the side of the vehicle. There are typically not very many big drops or anything, but rather many small drops, sharp curves, and helixes. These alpine coasters are very enjoyable, but often come at a charge between $10 and $20. Ultimately, I have ridden six alpine coasters, and I have enjoyed all of them. My favorite alpine coaster is called Smoky Mountain Alpine Coaster, and is located in Pigeon Forge, Tennessee. I highly suggest riding an alpine coaster if given a chance. To find alpine coasters, you can search the term “alpine coasters” on Google, or even rcdb.com, a site devoted to roller coasters and roller coaster statistics. These things are such thrill and so much fun! It’s time for my trip report for my second straight day at Dollywood. Now, just to be clear, Dollywood is my downright favorite theme park I’ve visited so far. I love the charm of the park and everything it offers. We arrived at the park at about 9:45am, about 15 minutes prior to park open. Our entire intention was to take it easy and enjoy the day, which is exactly what we did. We never really went out of our way to get the most rides, which was really relaxing. Our first ride of the day was Lightning Rod, followed by Rockin’ Roadway, the park’s “antique car” ride. For the ride, you step into a car, which rides around a track for a few minutes. After these rides, we headed over to the Heartsong Theater to see Heartsong: The Movie. This was a twenty minute presentation performed by Dolly Parton, highlighting moments of her growing up in Sevierville, Tennessee. I personally really enjoyed this film, much like I do all the show content Dollywood has to offer. Following the show, we made a quick loop around the park, riding Dollywood Express, the Villiage Carousel, Blazing Fury and Wild Eagle. When we made it back to the other end of the park, we stopped by Red’s Drive-In for lunch. The park was particularly crowded today, which led to many long food lines. Although we spent about 30 minutes waiting to order, we really didn’t mind. After this point, however, we really just intended to walk around the park and relax for a while. Every year, Dollywood hosts something titled Festival of Nations, which features unique cuisine and performances from groups from all over the world. At 3:30pm, we headed over to the Showstreet Palace Theater. This theater, perhaps the largest and most popular venue in the park, was home to Ladysmith Black Mambazo. This group from South Africa has worked with Dolly herself on multiple occasions, and is one of the main draws to the Festival of Nations. To put things into perspective, their style of music is strikingly similar to a combination of a capella and what a barbershop quartet would do. I really enjoyed it. We walked around a little more after the show, then went to end the day at Lightning Rod. Initially, the wait was only 25 minutes, but right before we about to board, maintenance decided to reduce operations to one train. This was supposed to only be about a 10 minute delay, but ultimately ended up being about an hour. We could’ve went elsewhere, but we ended up sticking it out and I had what was probably my best ride on it. After a quick stop for cinnamon bread, taffy, and a couple souvenirs, closing time of 7:00pm had come. We took the Dollywood provided trams to our car and were on our way. Since this was the last park on our trip, leaving was a little bittersweet, but ultimately we were ready to head home. This was the longest theme park trip I have ever done driving, having traveled a total on 2,040 miles roundtrip. Ultimately, all the parks were fantastic, and I would definitely like to take a similar trip at some point in the future. On Monday, March 26th, 2018, I spent the day at Dollywood in Pigeon Forge Tennessee. This park is a very charming park with excellent theming, wonderful employees, and some of the best roller coasters in the country. 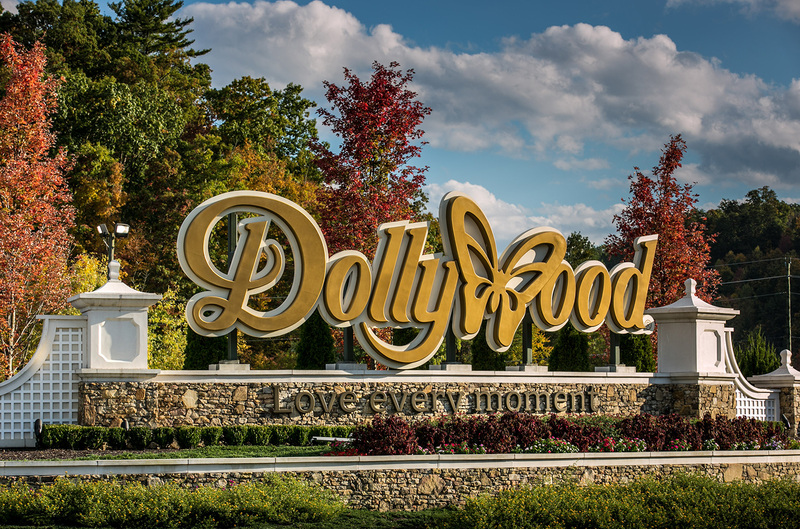 Perhaps the most famous part about Dollywood is that it’s named after country singer-songwriter, Dolly Parton. 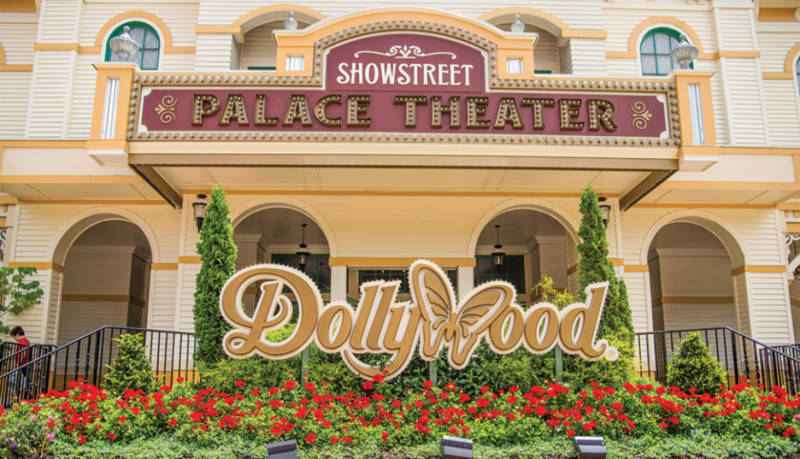 Dolly acts as part owner of the theme park, and is the primary spokesperson for everything associated with Dollywood. We arrived at the park at about 9:40 for the 10:00am opening. To start our day, we headed to Lightning Rod. Lightning Rod is the world’s fastest wooden roller coaster, along with the world’s first launched wooden roller coaster. I have loved this ride ever since my first time riding it, so much to the point that it ranks as my #2 roller coaster overall (I’ll explain rankings in a later post). From there, we took it easy for a while and leisurely made our way around the park. We hit rides such as Blazing Fury, Wild Eagle, and FireChaser Express. I enjoy Dollywood so much that I don’t have a specific ride that disappoints me, so I can honestly say I enjoy everything at the park. Next, I was able to hit a roller coaster that opened since my last trip, Whistle Punk Chaser. It is a small kiddie roller coaster, but it was nice to add another coaster to my list. Perhaps one of the most popular rides in the park is the train, known as the Dollywood Express. After a quick bite to eat and a visit to Chasing Rainbows, a museum filled with different items from Dolly Parton’s life and career, we headed over to the train. The total ride lasts about 25 minutes and has several moments where guests can get involved in interacting with others on the train. We also got a peek of construction for the massive new addition coming to the park in the coming years (I will make a separate post about this as well). Following the train, we rode Tennessee Tornado and Mystery Mine. Like I said, I love all the rides at Dollywood, so there’s not much more to say beyond that. We then hopped on another new ride, Drop Line. This was a large drop tower that was added in 2017. Quite honestly, I had a fantastic experience on it, and it may now be one of my favorite drop rides. Afterwards, we rode the other wooden roller coaster in the park, Thunderhead. Another ride on Lightning Rod, then we were about to end our day at the park. One thing Dollywood is extremely famous for is it’s culinary options and bakery items. Perhaps the most popular is it’s cinnamon bread. So, as per usual, we had to make a stop in the Grist Mill to pick up a loaf. If you’ve never had it, I would suggest trying some if you visit the park. I have also seen recipes online, so if you want to try to make it at home, feel free to Google “Dollywood Cinnamon Bread recipe”. We ended up leaving the park at about 7:30, which was half an hour before closing, but we had some other things in the area was wanted to do before we went back to the hotel for the night. In the end, Dollywood was fantastic as always. However, luckily this wasn’t our only day at the park, so stay tuned for a trip report for day two at Dollywood. 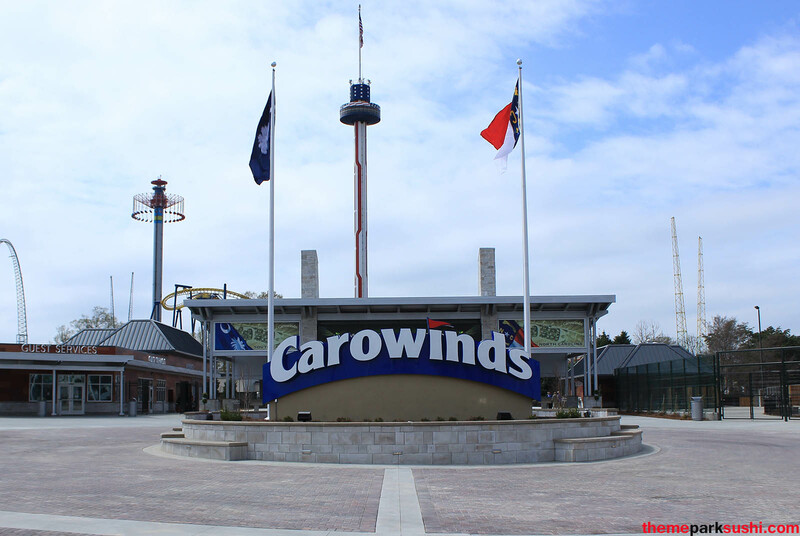 On Sunday, March 25th, 2018, I visited Carowinds for the first time. The park was built in 1973 and is unique in the way that the border of North Carolina and South Carolina runs through the middle of the park. The north end is in Charlotte, North Carolina, while the south end is in Fort Mill, South Carolina. The park is also owned by Cedar Fair Entertainment Company. My grandfather and I arrived at the park at about 9:35. When we got there, we heard the unfortunate news that some rides may be opening late or not at all due to low temperatures, including Fury 325 and Intimidator, the largest rides in the park. We were planning on going on those coasters right away, but instead changed our plans. To start the day, we rode Ricochet, the park’s wild mouse type coaster, Carolina Cyclone, the park’s looping roller coaster, and Hurler, the park’s major wooden roller coaster. We then continued to some more roller coasters to see which were open, and when we got to another we were on the other side of the park. We hopped on Afterburn, which is the park’s suspended looping roller coaster, which was a lot of fun. This ride is quite possibly one of my favoring suspended loopers. We proceeded to ride Woodstock Express, the kiddie wooden roller coaster in the park, before grabbing a quick bite to eat at the Harmony Hall Marketplace. This food court has a vast selection of different culinary options to choose from. Personally, I had the chicken tenders with sidewinder fries, which was very good. Some other options included hamburgers, pizza, and bbq. One thing about Cedar Fair parks is that they offer an all season drink pass that allows you to simply scan your pass and get a cup for soft drinks all season long. I have used this route, and it’s extremely convenient. If you visit a Cedar Fair park multiple times in a year, I definitely recommend investing $30 in this pass. After we ate, we made our way to the Carolina Skytower to get a view of the park and surrounding area. From there, we headed towards Vortex, the park’s standup coaster, followed by Boo Blasters on Boo Hill, the park’s interactive dark ride, and Flying Cobras, the park’s boomerang style roller coaster. As the day was progressing, it was becoming more and more clear that some of the rides closed may not be opening. We were constantly going up to each of the rides closed to see when they were going to open, but most had no answer. At this point, it was about 2:30pm, and my grandpa and I were getting very impatient. After a ride on the park’s carousel, we decided we were going to stick around until 3:15, then leave if there was no luck. 3:15 rolled around and we still had no luck. We were on our way out, but I quickly diverted over to Fury 325 to see if there was a chance it could open. When we got over to the ride, it began to test for the day. Fury was one of the main rides we visited the park for, and we were just about to ride it. We got in line and were on the first public train of the day. The ride was absolutely FANTASTIC, offering an long, intense ride that never lets up. If you have the opportunity to visit the park, definitely get on this thing. We actually wanted to ride again, but the line was already out the entrance and it was only operating one train. We also had another four hour drive ahead of us, so we decided to call it a day at the park. All in all, we were able to ride all the coasters we could in the park (8), except for Intimidator, Carolina Goldrusher, Nighthawk, and Kiddy Hawk due to weather. I definitely plan to visit this park again to ride those coasters, and most importantly, ride Fury 325 some more.